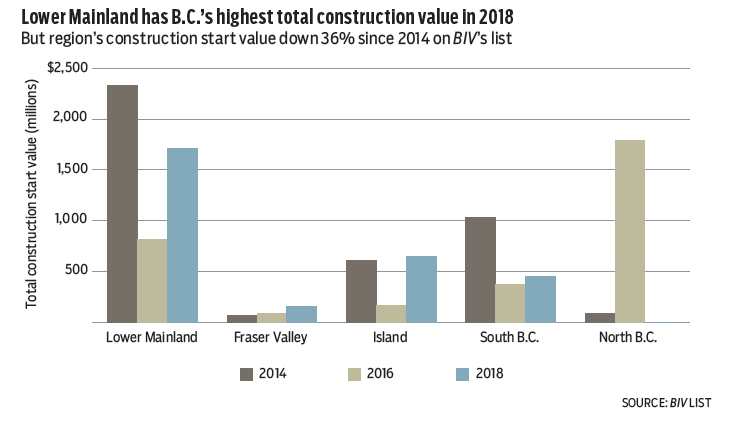 The Fraser Valley posted both the lowest total and the lowest average values for construction starts. Nevertheless, it’s been the only region with consistent growth over the five-year period covered by BIV’s list. It can also claim to be the region with the greatest amount of growth, increasing 143% to $158 million in 2018 from $65 million in 2014. 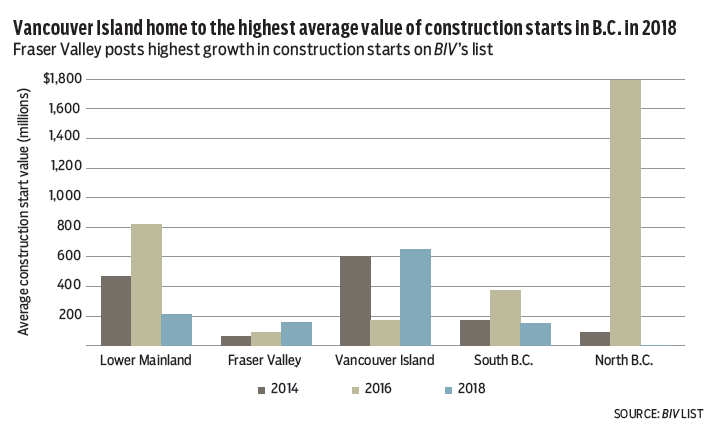 The Fraser Valley and Vancouver Island were the only regions to report average construction start value growth since 2016.